Called to diagnose why there was a wet hole appearing in the family room ceiling; Oasis by JCB Contracting Inc. was able to work with the family to discover that the plumbing for their upper floor bathtub had a leak. With minimal cutting to the ceiling, Oasis by JCB Contracting was able to locate the problem area, replace the plumbing and stop the leaking. 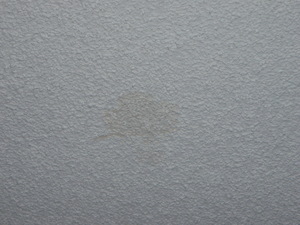 A contractor was hired for the client to do the ceiling repairs.